ARRIS announced that we have entered into a definitive agreement with Google under which ARRIS will acquire the Motorola Home Business from Motorola Mobility, a Google subsidiary, for $2.35 billion in a cash-and-stock transaction. This transformative combination creates a global player in innovative end-to-end broadband video solutions. SUWANEE, GA and MOUNTAIN VIEW, CA, December 19, 2012 — ARRIS Group, Inc. (NASDAQ: ARRS), a global innovator in broadband media technology, and Google Inc. (NASDAQ: GOOG) today jointly announced that ARRIS and Motorola Mobility, a Google subsidiary, have entered into a definitive agreement under which ARRIS will acquire the Motorola Home business from Motorola Mobility, for $2.35 billion in a cash-and-stock transaction approved by the Boards of Directors of both companies. The acquisition will be on a cash-free, debt-free basis and is expected to be significantly accretive to ARRIS’ Non-GAAP earnings starting in the first full year after closing. Under the terms of the agreement, upon closing of the transaction, Google will receive $2.05 billion in cash and approximately $300 million in newly issued ARRIS shares, subject to certain adjustments provided for in the agreement, representing an approximately 15.7% ownership interest in ARRIS post-closing. Acquiring Motorola Home will enhance ARRIS’ ability to provide next-generation consumer video products and services, supporting a more comprehensive product offering while also accelerating its ability to deliver a comprehensive set of industry-leading new products for broadband to a wide spectrum of customers. 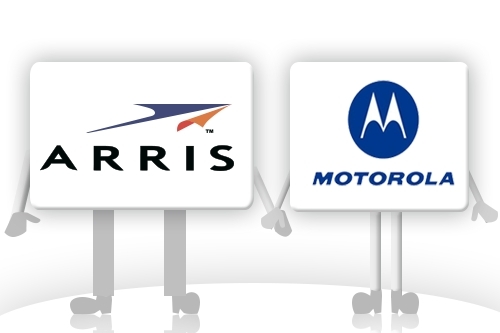 The transaction will increase ARRIS’ patent portfolio and provide a license to a wide array of Motorola Mobility patents. «Acquiring Motorola Home builds on ARRIS’ rich history, creating a global player with significant footprint, revenue and cash flow. It also adds expertise in video and a larger presence in the home to our core strengths in voice and data, ensuring we are even better positioned to capitalize on and manage the evolution toward multi-screen home entertainment. We look forward to working with the Motorola Home team as we integrate their complementary product portfolio and engineering expertise to accelerate best-in-class end-to-end solutions to a broader customer base and increase value for shareholders,» Stanzione continued. Together, ARRIS and Motorola Home will have a global presence with over 500 customers in 70 countries, more than tripling ARRIS pro forma combined revenue to approximately $4.7 billion for the trailing four quarter period ended September 30, 2012. The combined entity will offer a wide array of products and solutions and will have an expanded customer base encompassing the full spectrum of broadband content and service providers. «We share a similar vision and strategy with ARRIS for the industry’s migration to IP. The combination of our solutions, expert technologists and roadmaps promises to transform how service providers deliver the smart, simple connected home to consumers throughout the world,» said Marwan Fawaz, the Executive Vice President of Motorola Mobility who leads Motorola Home. Motorola Home is a profitable business that generated revenues of $3.4 billion for the trailing four quarters ended September 30, 2012. The combination is expected to generate approximately $100 — $125 million in annual cost synergies. financing commitments from Bank of America Merrill Lynch and Royal Bank of Canada. Evercore Partners is acting as lead financial advisor and Troutman Sanders is acting as lead legal counsel to ARRIS on this transaction. Bank of America Merrill Lynch is also advising ARRIS. Barclays is acting as financial advisor and Cleary Gottlieb Steen & Hamilton LLP is acting as legal counsel to Google on this transaction.